A south Otago mental health worker is concerned people do not know where to find help. PACT’s Balclutha Link Centre mental health worker Tracey Currie said there was a problem in the region with making services that helped with people’s wellbeing available. “I’m not sure if the services are well enough known . . . if people know where to go to get the help,” she said. 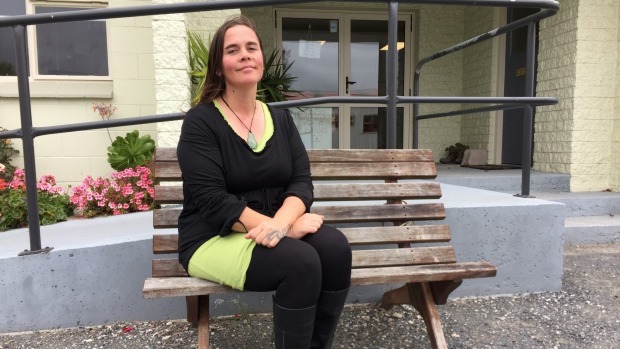 PACT’s Balclutha Link Centre mental health worker Tracey Currie has been working in the industry for about 10 years. Currie has worked in the industry for about 10 years and said during that time mental health was not getting any better. More intervention, services made available and well-known was needed, she said. There was also a real lack of funding with statistics getting “worse and worse”, she said. Careerforce manager for apprenticeship and vocational pathways Penny Rogers said Currie was one of 10 trainees throughout the region, in Invercargill, Balclutha and Dunedin, who were enrolled in the New Zealand Apprenticeship in Mental Health and Addiction Support. Currie jumped at the opportunity to take part in the programme because she had always loved helping people, she said. A work she helps about 70 people with disability and mental health issues, including depression, anxiety, schizophrenia, bipolar disorder as well as drug and alcohol addictions. “I was the first to put my hand up [for the programme], I love learning,” she said. The NZQA approved course, based online, was about getting to know yourself and self reflection, she said. Careerforce brought on board 100 new trainees nationwide to be a part of the programme, which launched mid-last year. Southland is the third-largest region in terms of trainees for the programme, behind Auckland and Wellington who had the largest numbers because of the large population in those areas, Rogers said. “Careerforce has a number of apprentices in rural areas, but in general our enrolment numbers reflect the population of New Zealand,” she said. The training, which runs for about 18 months, would help give staff extra confidence to do their jobs to the best of their ability which would result in better outcomes, Rogers said.